The hunt for life on Mars just entered a new phase after Europe and Russia launched a spacecraft in a joint mission that will search for clues of alien organisms. The ExoMars Trace Gas Orbiter (TGO) blasted off from the Baikonur cosmodrome in Kazakhstan on board a Proton rocket, marking the start of a seven-month, 483 million km (300 million mile) journey to the red planet. The TGO will search Mars’ atmosphere for trace gases such as methane that may indicate the presence of alien life on the planet’s surface. 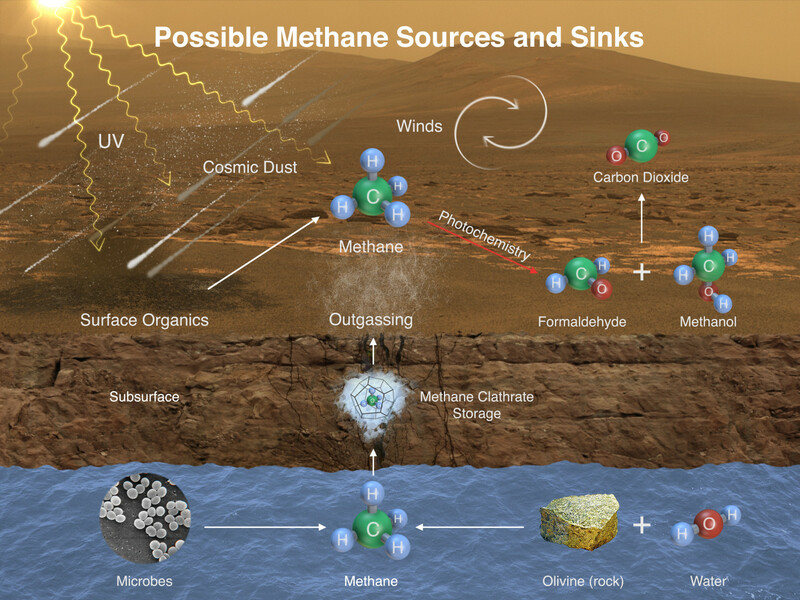 In 2014, NASA’s rover Curiosity detected methane in Mars’ atmosphere, which scientists believe could have been produced by microbial lifeforms on the planet. "Proving that life exists or has existed on Mars would show that Earth is not unique in terms of having life on it," Rolf de Groot, head of the European Space Agency's (ESA) Robotic Exploration Coordination Office, told Reuters. "That would make it much more likely that there are other places in the universe that also have life," he added. An alternative explanation for the methane in Mars's atmosphere could be that it is produced by geological phenomena, like the oxidation of iron. ExoMars aims to determine whether the gas is coming from a geological or a biological source. As the TGO approaches Mars on October 16, a lander will separate from the craft and descend to the planet’s surface, where it will test technologies needed for a rover to follow in 2018. ExoMars 2016 is the first part of the mission. The second phase, in 2018, involves deploying the rover, which will drill into the planet’s surface to collect and analyse samples. "The radiation from space destroys all the biological material. If you go two metres into the ground you may be able to find places that were protected (from radiation)," de Groot said. Landing on Mars has proved difficult for past missions. ESA’s Beagle 2 lander did not communicate with Earth, while Russia’s Phobos-Grunt mission failed to launch properly. NASA currently has two operational rovers on Mars, Curiosity and Opportunity. The US space agency said it plans to launch a Mars spacecraft in 2018 that will study the planet’s deep interior. The ExoMars 2016 mission is led by the European Space Agency (ESA), with Russia's Roscosmos supplying the launcher and two of the four scientific instruments on TGO. The mission will cost ESA an estimated 1.3 billion euro ($1.4 billion). This figure does not include Russia’s contribution. According to the World Economic Forum’s Bringing Space Down to Earth report, European nations spent $5.1 billion on ESA in 2012, while Russia spent $4.6 billion on its civil and military space organizations. By comparison, US government space spending on NASA, the National Oceanic and Atmospheric Administration (NOAA) and the Department of Defense was $48 billion.